A nice chap on Twitter challenged my thoughts and opinions on the Paleo Diet. Am I a lover or a hater? It could be considered standard practice for a health professional to dismiss the Paleo Diet as nothing but a fad, a diet that is BAD, and just a bit mad. However, I am of the opinion that most ‘diets’ have their pros and cons, work for some people and not for others. As I always say, what works for you and what you are happy with is your business. If you feel the need to change and want to change, that’s terrific too. Here is a bullet point overview of the paleo diet. I could witter on forever about it, but I’ll try to keep it brief! short for paleolithic, also known as hunter-gatherer or caveman diet. expensive to buy pasture raised meat, wild fish (£10 per salmon fillet anyone?) etc. “of course, this carbohydrate should primarily come from fruit and vegetables, so calories aren’t wasted by eating food lacking micro nutrients”. He follows with an example diet for a 10 stone athlete training 15 hours/week requiring 3000kcal/day. I analysed the nutrients…… Dr Cordain only managed to get 30% calories carbohydrate (fruit/veg), and this seemed to be mainly from fruit juice. I therefore question how athletes requiring large calorie intakes can realistically follow his regimen. Due to the impossible task of getting 50% of calories from fruit and veg, I have witnessed first hand the reduction in training performance (feeling weak and dizzy), constant hunger, poorer body compostition, and difficulty in socialising (as a dinner guest or in restaurants). foods: fish, meats, eggs, vegetables, fruit and nuts are of benefit. Adopt a common sense approach to including grains and dairy eg. 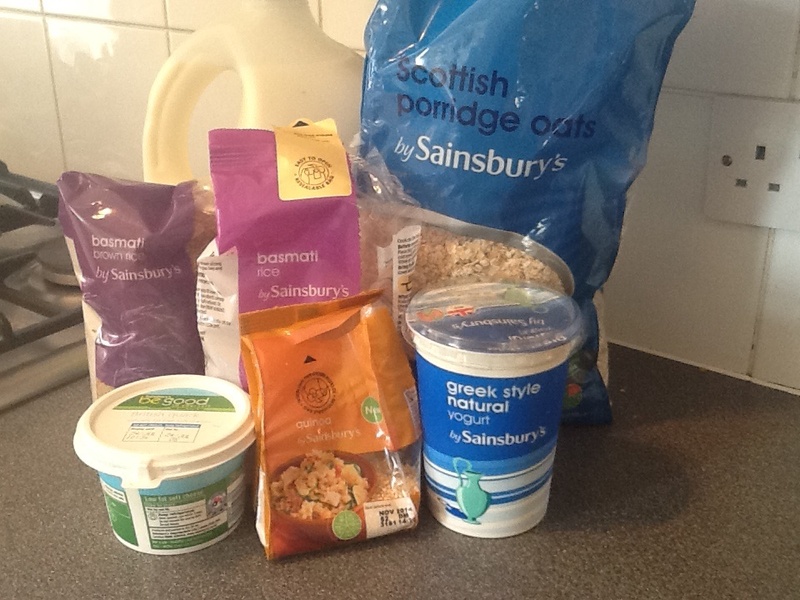 swap Frosties for oats, chips for basmati/brown rice. Athletes, be careful not to sacrifice your performance in training and in competition for an ideological diet that is not meeting your nutritional needs. The basic principles can be adapted to meet your training goals and to achieve optimal performance. Eat wholesome real foods, eat food that goes off before it goes off!